His eyes water. One nostril runs. He sneezes and wipes his nose with his little paw. I’m afraid it might be true: My guinea pig’s allergic to hay. I remember when I first found out cats can get diabetes. How ridiculous is that? I don’t know why I thought that diabetes was a solely human ailment. Maybe it’s because we have doctors building second homes the moment we tell them our symptoms, whereas animals are at the mercy of their humans first noticing something’s wrong and then packing them off to the vet. Maybe it’s because animals have less choices than we have, so they shouldn’t have to get “our” diseases as well. But a hay allergy? Is that even possible? Hay is a guinea pig staple! Conventional lore says to give them as much as they want, so he always has a mound in his cage, though he’s selective about which parts he eats (flower tops, thin pieces; no sticks). This means a LOT of hay is never consumed. One time I told him we were going to send his hay to starving guinea pigs in other countries. This probably would have had more effect had he actually been listening at the time. …and then kindly trickles down to heat the rest of the house all day & all through the night. I’m an open-window kind of gal, but we don’t want a baked pig either, so that means a/c when it’s 80-something w/no east wind. Plus, what do our windows look out on? A strip of lawn, a chainlink fence and then a Park’n’Ride. Traffic, fumes, the works. So the a/c could be a culprit, but we recently purchased a few HEPA Air Purifiers to help with the congestion. And for the record, they’ve helped immensely, which may tell you a little something about how much we used to get stuffed up. If it’s not the a/c, is it his shavings? We use Carefresh Natural, which he seems to enjoy, and since he’s practically immersed in it I’d think his reactions would be a lot worse & more constant. So: Hay. Great. But he’s a tough little dude; he doesn’t let watery eyes and nose slow him down one bit. I probably notice it more than he does. The vet isn’t sure what’s going on either, especially when every time we’d take him in, he’d miraculously be fine. Animals like to do that. Apologies to AmericanGirl for the guinea pig homage (I always wanted the Samantha doll). It’s just so unfair. Can’t blow their nose for them! Pingback: Stupid Non-Allergies « Food. Animals. Environment. Stuff. Wouldn’t you just know, he turns up his nose at orchard grass. _I_ thought it was looked tasty and smelled fragrant. But what do I know, right? A mere human! Thanks for the suggestion! So far he just keeps hoovering up the timothy hay even as his eye and nose water. But perhaps the forced air we have and the sealed windows contribute. He does show less watering when I can have the windows open. My pig has the exact same symptoms. He has a runny nose/watery eyes off and on. I think it is actually worse in the spring which makes sense because of all the allergens flying around. He has been like this for 3 years and has never gotten worse. I stopped using shavings of every kind and switched to towels and fleece. Poor little Gaffers. Thanks for the post, I know I’m not alone on this one! I’m glad I’m not alone either! 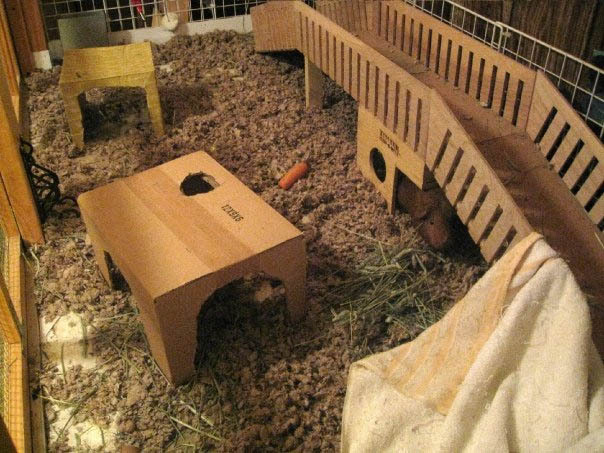 How does your pig like the towels and fleece? 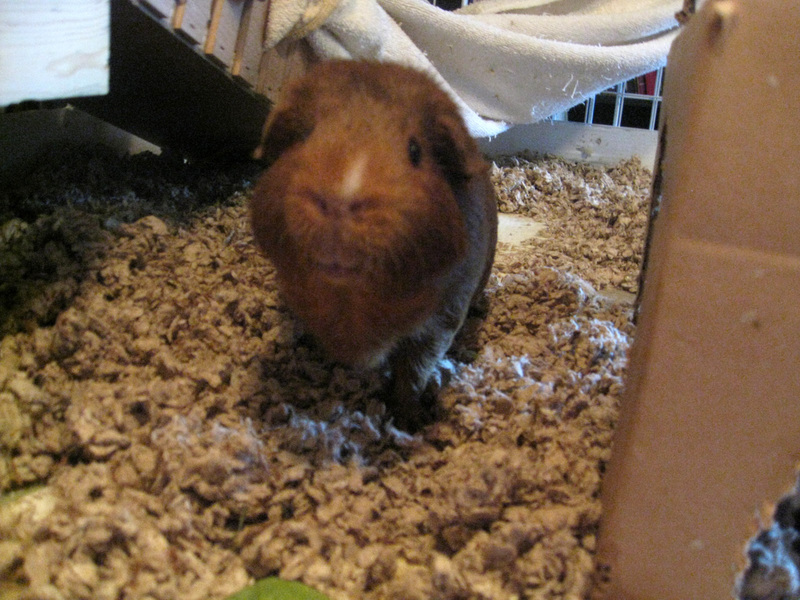 Hey I know this post is from forever ago, but my piggy boy is an old one who hasn’t had much allergy trouble but the past year his hooting/congestion has gotten bad (got checked out for heart disease and the heart was fine, and now I use a nebulizer when his breathing sounds nasty with saline solution)… But recently got some oat hay I’ve been feeding the past week (he doesn’t like it as much as timothy) and his breathing is reallllly good now! Almost like the constant feeding of Timothy hay for 6.5 years in a row has caused him bad allergies (over exposure to any food can do that to animals). So the options for non-timothy hay I’ve found online are “Alfalfa King Double Compressed Oat Wheat and Barley Hay,” “Kaytee Bermuda Grass,” and oxbow oat hay. There are also plenty of local farms and I’m sure specialty companies that sell an even wider variety of hays in smaller quantities. So long story short, my pig’s been sick for a year and I’ve tried everything the veterinarian told me, but found that Timothy hay is the main culprit to his wheezing and phlegm/snot since trying oat hay. Hey! That’s great that you’ve found things that actually help your pig. Poor little guy. They go through so much sometimes. How old is the dear? He’s lucky to have you! Those are great suggestions, especially as this clearly doesn’t just affect one pig. 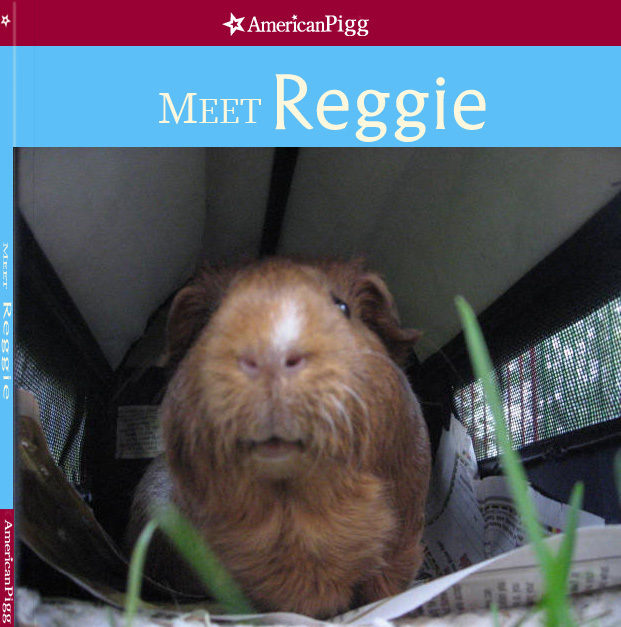 We currently get Small Pet Select 3rd Cutting hay, because the guinea pig after our hay allergy pig started having dental problems, and he loved his hay, but stopped eating the “hard” stuff–the kind usually found in stores and more easily accessible. 3rd cutting is the softest and is perhaps not the most beneficial as far as fiber is concerned, but he hoovered it up. Now we’ve got two little girls and a giant box of this hay left. They can’t get enough of it. Best to you and your little boy pig! Hi! Goodness, this was caught in my spam folder all this time. For that particular pig, we had fewer good hay options than we do now, so stuck with the brand we had. He lived a good long life and was a stalwart explorer-pig, so I’m glad that his reaction didn’t stop him from doing things he enjoyed (including eating said hay). That’s great that you were researching allergies in guinea pigs–we need more insight into all the things these little critters can get. How is your little pal now? I hope everything is going great.